The literature is vague about breaking down the potency according to opiate structure. Methadone seems the most mild of the synthetics and fentanyl the most deadly. Oxycodone is in the middle somewhere. Methadone caused 3300 deaths in 2016 compared with fentanyl at 19000. 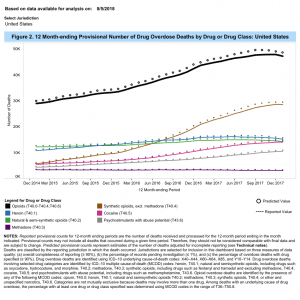 The oxycodone, hydrocodone, and a variety of similar drugs deaths were 14,000. The last group are very close to opium in chemistry, fentanyl diverges quite a bit from the standard opium structure, it seems simpler, a stripped down version of the standard structure so to speak. Pass around methadone and outlaw fentanyl. 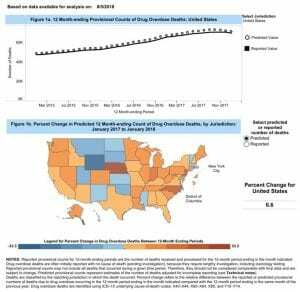 Not mentioned is methamphetamine (not an opiate) which seems to have low death rates. Do not be fooled, all the deaths will occur when the generation of users hits 50, they die of heart failure. So, starting soon, we will have another million heart failures among the 45-55 crowd. Also some estimates have put meth as responsible for some 50% of property crimes. Meth is not really susceptible to the same rehab treatment as cocaine. Meth has a social structure, it is a group drug, and ex users really cannot go their same hood, they end up with the same meth crowd. Cocaine (npot an opiate) is widely used so I expect high death counts. But I see more people walk away from cocaine than meth or opiates. I consider cocaine to be mild. I do some property management in Fresno,CA, the meth capital of the world. It is the meth users that cannot rent, cocaine and pot users are fine. The supply of illicit drugs will never be brought under control. The War on Drugs has been going on for over 45 years. It has not stopped the import of illegal drugs. What is has done is to create a war on civil liberties. No knock warrants, the use of RICO to confiscate some thousands of dollars with no proof of illegal activity, the use of snitches who should have been prosecuted instead and raids on homes which have caused innocent civilian deaths in their own homes or property.These all started out as part of the war on drugs, now they are used for anything. Google this phrase “civilians killed in their own homes by police”. The legislatures and courts have ratcheted up the number of violent confrontations by inflicting 25 year to life sentences on drug dealers. Does that sort of sentence encourage drug dealers to surrender peacefully or to do anything possible to escape? The ‘War’ has adversely affected the training of police officers too. Back in the 1960s police officers knocked on a door to serve a warrant. Now with each of their fearful attacks on homes or persons they lose the cooperation of more of the population. Hearts and minds matter in the USA too. The ‘War’ has been a dismal failure. A little tweaking here and there will only get insignificant improvements. Somehow we need to make life worth living without those illicit drugs. But our economy has been modified to enrich the wealthy corporations and make the working class poorer. All thru the magic of Global Free Trade! There is a reason for my writing this in the manner it has been written (to be a tad redundant). 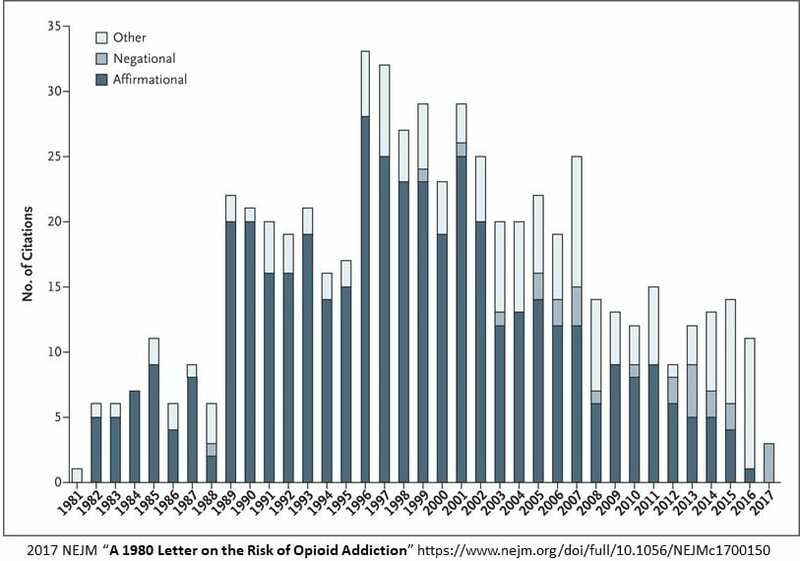 The opioid manufacturers took advantage of a letter to the NEJM in 1980. Yes there was always an issue with illegal heroin then. 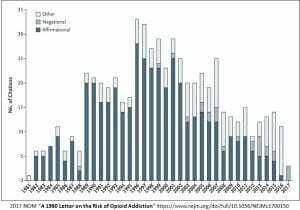 No, there was not a huge issue with prescription opioids until that letter was issued and doctors started prescribing opioids thinking the issue of addiction was rare. Purdue and other companies capitalized on the letter and created the issue of opioid addition. It is important to understand why this happened and has exploded to the magnitude it has. 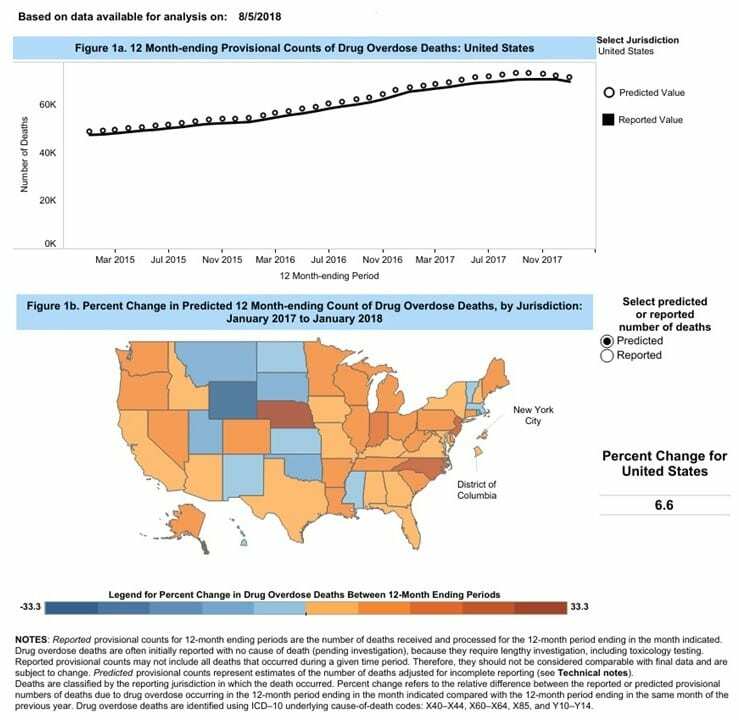 Getting control of opioid prescriptions is one step to limiting the growth of the problem. The use of heroin and illegal Fentanyl is another problem which will have to be worked on even more. As noted, much of the effort is being placed into treatment for addiction. The supply of both is another issue. And then Purdue Pharma gets to sell the treatment as well…. I agree that the opioid manufacturers’ advice to doctors was misguided and self serving. And that some doctors overprescribed because of that advice. I hope that the lawsuits by the state governments yield sums large enough to send a message to manufacturers. I do have my doubts about overregulation of opioids. I would rather the regulation was focused on doctors or clinics who prescribe the most opioids. No one can seriously believe that a 5 day supply of Vicodin or even Percocet is going to push a patient into addiction. The popular myth is that those who have lost hope get hooked on opioids because first their doctors prescribed them. Let’s not kid ourselves, those who lose hope will find street drugs anyway. Illegal drug use predates the opioid manufacturers’ campaign which has brought on the states’ lawsuits. 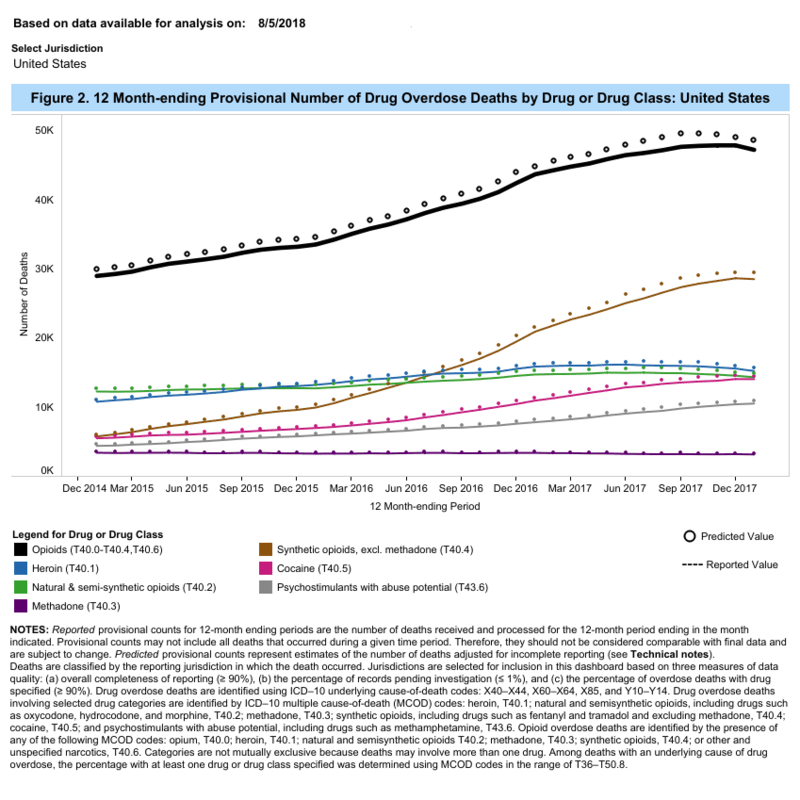 What we are seeing currently is worse because the usage seems to be more widespread and the attention getting deaths caused by the heroin/fentanyl mix in illegal drugs. But our 45 year experience with the drug war had not been positive in any sense. We can not go any further down that path. Let us be realistic. WE WILL NEVER BE ABLE TO BRING THE SUPPLY OF OPIOIDS UNDER CONTROL. Somehow we need to make life worth living without opioids. Last night I watched a ‘Frontline’ program on PBS. It was about Dayton Ohio where large swaths of the population had had jobs paying upwards of $35 an hour before free trade sent manufacturers scurrying abroad. Now all they can get are $12 to $13 an hour jobs and a two income family just barely gets by. Now blight is widespread and the city has a terrible drug problem. The Mayor said that her father’s job had supported them while he was saving money for her college education. She doesn’t see any possibility of that happening for a young girl in Dayton now. Not on current wages. Hopelessness is a rot that is not self healing.